In celebration of the 25th anniversary of the release of the landmark album KICK, INXS has announced they will release three newly remastered KICK 25th Anniversary Editions of their acclaimed 1987 studio album. The KICK 25th Anniversary Editions are being made available as a limited edition LP on red vinyl, a 25-track expanded Deluxe 2CD set; and a 32-track collector's edition Super Deluxe 3CD set coupled with a 60-minute DVD and 80-page hard cover book. 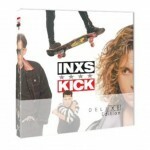 All three versions of the KICK 25th Anniversary Editions are available for purchase immediately and available exclusively online at www.INXS.com. Formed 35 years ago in 1977, INXS is one of the most notable and successful rock bands of all time, having sold over 35 million albums worldwide with the group's music remaining in constant radio rotation and in DJ sets nightly across the globe. In addition to the INXS KICK 25th Anniversary Edition on limited edition red vinyl featuring the remastered original album, the Deluxe 2CD Edition includes the remastered version of the original album, along with a bonus disc of early demo recordings and outtakes, live concert tracks, rare b-sides and remixes. The collector's edition Super Deluxe 3CD+1DVD+80-page hardcover book edition includes the remastered version of the original album, a second CD of early demos, live concert tracks, rare b-sides and remixes, along with a third CD featuring special single edit versions and bonus remixes of "Never Tear Us Apart," "New Sensation," and "Devil Inside" among others. The added DVD features never-before-seen exclusive footage titled Through Our Eyes Only filmed by the band themselves, taking fans behind-the-scenes during the 1987-1988 KICK "Calling All Nations World Tour." Additional DVD features include unseen live-in-concert recordings, rare promos for the band and album, music videos, and a track-by-track documentary filmed during the late-80s to present on the making of the classic album featuring intimate interviews with the late Michael Hutchence and brothers Andrew, Jon and Tim Farriss. The collector's edition Super Deluxe set also comes with an 80-page art book that includes never-before-seen handwritten lyrics from the Michael Hutchence family archives, previously unseen photos, diaries, a Kick sticker sheet and original tour poster. In addition, INXS has rolled out an entirely new line of merchandise and apparel commemorating the KICK 25th Anniversary available only online at: http://shop.petrolelectric.com/kick-25. For more information please visit the bands' official website at www.INXS.com. Originally released on October 19, 1987, KICK has been lauded by critics the world over as a work of "rhythm rock" perfection. Famously "rejected" at the time by their record label, who offered the band $1,000,000 to go back to Australia and record an entirely different album, KICK became a worldwide, multi-platinum success. Yielding the band four Top 10 singles, "Devil Inside," "New Sensation," "Never Tear Us Apart," and "Need You Tonight" which hit #1 in the U.S., KICK solidified the band as one of the world's top concert attractions with a relentless radio presence and constant video rotation at MTV. During this prolific period - the album from beginning to end, front to back, including the now iconic imagery - everything contributed to conjuring up one of the most inspired INXS albums of their career and one of the most exciting albums of that musical era, with sales now approaching 20 million worldwide. In the accompanying DVD of the KICK 25th Anniversary Super Deluxe Edition Andrew Farriss recalled "the KICK album was a very important album for INXS' career on lots of levels. We'd had chart success prior to that album. It was our sixth studio album, but the chart success we'd had prior to that album was a mixed bag." Tim Farriss remembered, "KICK, to me, was an extension of Listen Like Thieves, the album we had just made with producer Chris Thomas. And it just felt like we had really just gotten it happening." "We came up with 'What You Need' which was a top 5 hit for us then in the United States...and that really did change things in a big way for us," said Andrew Farriss. We knew what we had to do with KICK as an album, so Michael and I talked with the other guys in the band on a tour bus, I think in Germany of all places and said to them 'Look, you know, this album we're about to make, it feels like a big career move for us...if you really trust us with the songwriting, we'll try to give you ten 'What You Need's.' And the guys, to their credit, said 'okay, you write all the songs.' And we (Michael and I) went, 'alright!,' because now we had our mission statement. So, we sat down and carefully designed KICK." Jon Farriss described the album and bands' then evolving sound as having "a groove element, a dance element that lies underneath a lot of that stuff. Motown (was) definitely a very influential aspect of INXS." Michael Hutchence continued "It's a soul thing, really. I sort of write songs where there's just a movement, an energy, and rhythm. But, they're basically moral songs. 'Being good to each other, taking care of each other.' They're love songs. They're not trite. They're very passionate." One of the most notable and successful rock bands of all time, INXS has sold over 35 million albums worldwide with the group's music remaining in constant radio rotation and in DJ sets nightly across the globe. To this day, the group's multi-platinum landmark albums Listen Like Thieves, KICK, and X are all widely regarded as music collection staples. Huge chart-topping hit singles including "What You Need," "Need You Tonight," "Devil Inside," "Never Tear Us Apart," "New Sensation" and "Suicide Blonde" have been featured in numerous films, advertising campaigns and video games, earning the band countless accolades and awards around the world, including several Grammy nominations, and is the driving force behind selling over 15 million albums in the U.S. alone. With a career spanning three decades, first as the Farriss Brothers, then as INXS, brothers Tim, Jon, and Andrew Farriss, along with Kirk Pengilly, Garry Gary Beers, and Michael Hutchence have created some of the most enduring music in rock. For more details on INXS and Kick, please visit the band's official Web site at www.INXS.com. There are a number of new and upcoming releases set to land between now and early 2013. Here are some recent highlights pulled from my inbox. Nashville, TN - Oct. 30, 2012 – Country music icon Tim McGraw announced today that his first album on Big Machine Records TWO LANES OF FREEDOM will be released Feb. 5, 2013. 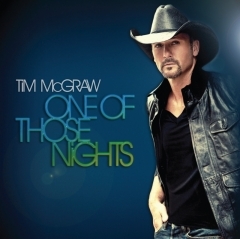 The new single "One Of Those Nights" will make its national television debut on ABC's live broadcast of the 2012 CMA Awards this Thursday night (Nov. 1, 2012), as it will simultaneously be delivered to country radio. "I always go into the studio to make the best record I can possibly make, and this one is no different. But 'Freedom' is a powerful word," said McGraw. "To come into a situation where there's some weight lifted, some refreshment going on, you can feel that in the music. I think you can feel the horses gallop on this record, and where I might go and what I might do when my engines are revving." For 20 years, McGraw has been providing a powerful connection with his audience. With TWO LANES OF FREEDOM, the singer returns as co-producer with long-time friend Byron Gallimore. The album covers his broadest emotional range yet, with a set of songs that looks forward and back, gets deep and gets loose, and reveals that even the biggest stars can continue to grow with consistency and maturity. "I feel like we really found some great songs for this record, and 'One Of Those Nights' perfectly sets the tone for the project," explained McGraw. "It's about reflecting on old times with a sense of nostalgia, but it's also about creating new memories and living in the moment and looking towards the future. I am doing that in my own life and career now, and I can't wait for my fans to hear the single and album. It's an unbelievably exciting time for me!" Fans will have the first chance to preview the upcoming album’s carefree new single “One Of Those Nights” today when McGraw appears on The Ellen DeGeneres Show. He'll also surprise some unsuspecting fans in Las Vegas and chat with Ellen about the new album (check local listings). In his record-shattering career, McGraw has sold over 40 million albums, and dominated the charts with 32 No. one singles. Since the release of his debut album in 1993, he has won three GRAMMY’s, 14 ACM Awards, 11 CMA Awards, and 10 AMA’s, while simultaneously maintaining a parallel career as a successful actor in such films as The Blind Side, Country Strong, and Friday Night Lights—as well as hosting Saturday Night Live, a rare honor for a singer in any genre. McGraw has never been afraid of breaking new ground; over the years, he has collaborated with musicians from Nelly to Tony Bennett to Def Leppard. For more information on the new album and single, visit www.timmcgraw.com. 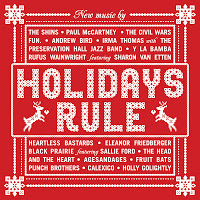 'Holidays Rule' kicks off season with tracks courtesy of Sir Paul, the Civil Wars, the Shins and more! With Halloween set to arrive tomorrow (where the heck has 2012 gone? ), today marks the release of one of the most high profile holiday-minded music releases of the year. Holidays Rule (Hear Music/Concord Music Group) features new recordings from Paul McCartney, Americana favorites the Civil Wars, the James Mercer-led Shins, fun., the Punch Brothers, the Fruit Bats and many others. Click here to read writer George A. Paul's full-length overview on his Music Minded blog. Kino Lorber has announced the acquisition of all North American distribution rights to the documentary AIN’T IN IT FOR MY HEALTH: A FILM ABOUT LEVON HELM, an in-depth and intimate look at music legend Levon Helm, who died of cancer in April 2012. This announcement comes on the heels of the recent “Love for Levon” tribute concert in New Jersey earlier this month where nearly 20,000 Helm fans packed the Izod Arena to hear musicians including Roger Waters, Gregg Allman, Mavis Staples, Joe Walsh, Lucinda Williams, and many others celebrate the legacy of the much beloved founding member of The Band who died earlier this year. Kino Lorber is planning to release the film in theaters across North America in early 2013, followed by a VOD and home video release set for the summer along with other digital and television distribution. Levon Helm was in the middle of an intensively creative period in the years just before his death. In addition to establishing the Midnight Ramble concert series as a must-see music experience, Helm’s Dirt Farmer (Vanguard/Dirt Farmer Music) earned the Grammy Award for Best Traditional Folk Album in February of 2008, and in November of that same year, Rolling Stone magazine ranked him among The 100 Greatest Singers of All Time. In 2010, his follow up album Electric Dirt, also won a Grammy Award in the inaugural category of ‘Best Americana Album.’ In 2011, his live album Ramble at the Ryman was nominated for the Grammy in the same category – and won. While this period was artistically productive, AIN’T IN IT FOR MY HEALTH: A FILM ABOUT LEVON HELM also shows Helm dealing with the burdens of renewed celebrity, continuing financial obligation and returning health problems. The man known worldwide for his soulful voice, (as well as his singular and unparalleled drumming and multi-instrumental skills), permitted a camera crew inside his home to show the world an intimate side of his art and life. The deal was negotiated between Kino Lorber CEO Richard Lorber and Stephen Brower, Senior VP of the Welk Music Group/Sugar Hill Records/Vanguard Records. Kino Lorber, Inc. was founded in 2009 by industry veterans Donald Krim and Richard Lorber, combining the staffs, libraries and resources of Kino International, Lorber Films and Alive Mind to create the new leader in film distribution. Through its varied group of labels, Kino Lorber, Inc. offers the best in contemporary, classic and documentary films that aim to engage, provoke, stimulate, and entertain today's audiences. 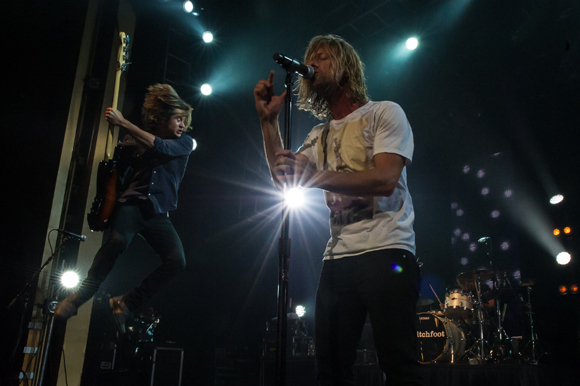 Switchfoot’s Tim (leaping) and Jon Foreman kick off their sold-out show at City National Grove of Anaheim. ﻿ Last night (Oct. 28) was a great night to be at the City National Grove of Anaheim. The Sunday night musical affair marked the end of Switchfoot's tour and the band had selected the stop to document as part of an upcoming documentary (titled Fading West) about the band's love of the stage and surfing. Needless to say, the San Diego-spawned outfit was firing on all sonic cylinders from start to finish in front of a sold-out house that was in a mood to sing along when asked and cheer at the top of their collective lungs. Across 80 minutes, the quintet performed high-octane songs that showcased the band's memorable songs and energetic approach. Lead singer Jon Foreman spent much of the night singing while out in the crowd, making a mostly-winning effort to connect deeply and directly with the band's audience. Additionally, I was introduced to the power of Paper Route, an electronica rock band out of Nashville that impressed throughout its 45-minute opening set. Featuring material from the band's latest album The Peace of Wild Things (released on Tree of Hearts on Sept. 11, 2012), standouts included the emotive ballad "You and I" and uplifting "Two Hearts." Here is a link to read music writer George A. Paul's full-length review of the show that ran on The Orange County Register's site earlier today. One of my favorite musical discoveries of 2012 is Other Lives. I first saw the Oklahoma band when they opened for Radiohead in Glendale, Arizona on March 15, 2012. I was further impressed when I reviewed the band's potent set at Coachella for The Orange County Register just over a month later on April 20, 2012. Now with the group having released its latest EP Mind The Gap last week on tbd records, Other Lives is back on the road and not to be missed. Among their upcoming performances is a headlining spot at Los Angeles' El Rey Theatre on Saturday, Nov. 3, 2012. Here is the official release regarding the band's fall tour and newly-issued Mind The Gap EP, which was recorded in Sutton Courtenay, Oxfordshire, England and features four tracks including a remix of "Tamer Animals" by Thom Yorke's supergroup Atoms For Peace. Again, Other Lives is an incredible band; do yourself a huge favor and see this band. 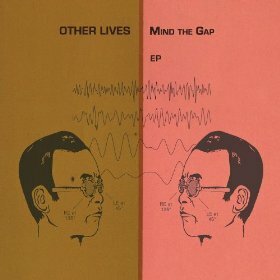 Other Lives announce the release of Mind The Gap EP out October 23, 2012 on tbd records. The EP was recorded by the band this past summer in a studio in Sutton Courtenay, Oxfordshire, England and features the Atoms For Peace remix of "Tamer Animals". The EP also features the tracks "Dead Can" which was written during the band's recent world tour and was “mostly recorded in the van using a lap top, because we were touring so much. That's what gives it an electro feel" along with "Take Us Alive", which is “based on a violin loop that was written in my parents’ backyard", explains lead singer Jesse Tabish. Look out for Other Lives back on the road on a full U.S. tour this Fall. 11.30 - Rock and Roll Hotel - Washington, D.C.
For music fans raised on the harmonies and melodies that defined a generation, THE BEACH BOYS' 50th Anniversary was celebrated with an album featuring all new material and a special 75 date world tour. THE BEACH BOYS played to sold out crowds garnering rave reviews at every stop -- from the Hollywood Bowl to its conclusion at London's Wembley Arena with an epic 55 song set. The excitement of THE BEACH BOYS 2012 tour lives forever on DVD and Blu-ray: THE BEACH BOYS: LIVE IN CONCERT - 50th ANNIVERSARY TOUR. Due out November 20, 2012 on BLASTMUSIC, THE BEACH BOYS: LIVE IN CONCERT - 50th ANNIVERSARY TOUR captures one of America's most beloved and chart-topping band's electrifying performances of 21 songs, including classics, album cuts and new songs, all of which highlight The Beach Boys' enduring impact on pop culture. For fans of all ages, this is the concert of a lifetime. The new DVD comes on the heels of a remarkably productive year for THE BEACH BOYS which saw the release of their first new album in sixteen years, THAT'S WHY GOD MADE THE RADIO (Capitol / Brother Records), and THE BEACH BOYS: DOIN' IT AGAIN which features live performances, behind-the-scenes exclusives from the 2012 recording sessions, as well as never-before-seen footage from the 1966 'Good Vibrations' recording sessions, and moving tributes to founding members Carl and Dennis Wilson. 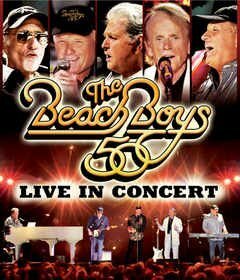 Said Marc Bennett, Co-Director of The Beach Boys 50 - Live in Concert: "To document this once-in-a-lifetime moment in music history as The Beach Boys embarked on their 50th year anniversary world tour was an experience I still have not come down from. This show is a solidification of their legacy and a tribute to creative endurance and artistic achievement that crosses all cultural and geographical boundaries. In spite of the obstacles they may have encountered over the years, they have reached this 50th year milestone as few bands have ever done, or even imagined. What they leave behind, as captured in this performance, is a body of work that is indelibly etched in music history and popular culture on a global level." With 56 U.S. Top 100 hits, 36 Top Ten hits, 4 Number One singles and over 100 million records sold, The Beach Boys are America's greatest band. To celebrate their remarkable 50 year career, surviving original members, Brian Wilson, Mike Love, Al Jardine, Bruce Johnston, and David Marks, joined together for the first time in over two decades for a historic world tour that began April 23 in Tuscon, AZ and concluded September 28 in London, England. 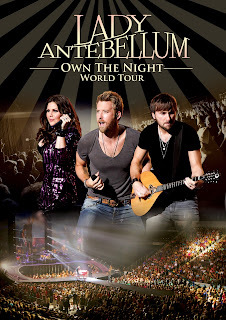 Eagle Rock Entertainment, the world’s leader in visual music, is proud to announce the DVD, Blu-ray, and Digital Video release of Lady Antebellum Own The Night World Tour on December 4, 2012, a spectacular concert by country music’s reigning CMA and ACM Vocal Group Of The Year. Filmed in June of 2012, the concert features the Nashville-based band—Hillary Scott, Charles Kelley and Dave Haywood—complete with documentary footage of the tour and seven additional bonus tracks. Lady Antebellum’s headlining tour traveled across the US, Canada, Europe and Australia, where the Grammy winning trio was welcomed by over one million fans in 11 countries on three continents. Lady A sold out shows in top markets including Los Angeles, Chicago, two nights in New York City, Toronto, London, three nights at Sydney’s Opera House and even had a chance to open a sold out show at London’s Hard Rock Calling for one of their idols Bruce Springsteen. The concept for the stage was simply sketched out on a paper plate while out on tour the summer of 2011 and evolved into one of the trio’s proudest accomplishments as a band. Before taking the show overseas, Lady Antebellum celebrated the final weekend of the North American leg by documenting the show from Little Rock, AR. The 90-minute performance includes #1 hits “I Run To You,” “We Owned The Night,” “American Honey,” “Just A Kiss,” “Our Kind of Love,” and, of course, the greatest selling country single of all time, “Need You Now.” Among the performances are documentary excerpts depicting their lives as songwriters, musicians, and close friends. Lady Antebellum is currently nominated for “Vocal Group of the Year” and “Album of the Year” for OWN THE NIGHT at the 46th Annual CMA Awards. OWN THE NIGHT debuted at the number one position on Billboard’s Top 200 and has spawned two number one hits “We Owned The Night” and “Just A Kiss.” The trio has sold over 11 million albums across the globe, scored seven GRAMMY Awards and tallied six number one hits. 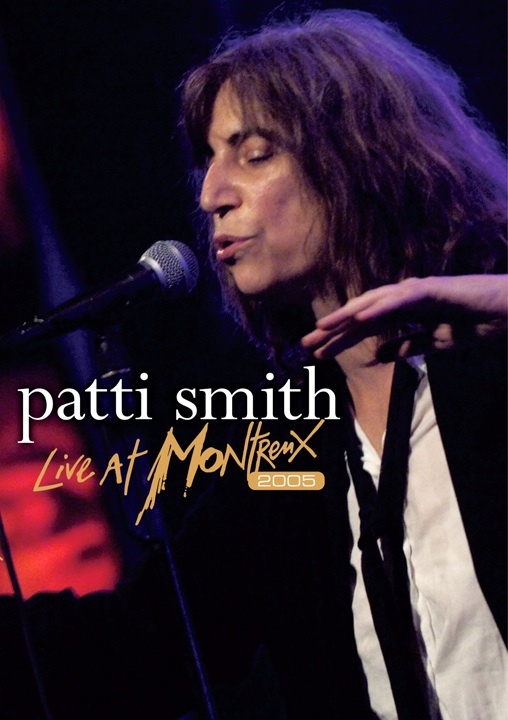 On November 13, Eagle Rock Entertainment will release Live At Montreux 2005 by Patti Smith on DVD, Blu-ray, and Digital Video. Patti Smith was one of the key artists in the breakthrough of New York City punk rock. The 1975 debut album Horses was a landmark release, from her unique vocals and lyrics, to the strikingly androgynous cover art, shot by photographer Robert Mapplethorpe (Patti dons this exact outfit in the 2005 concert). Horses was a huge influence on the whole New Wave genre, and paved the way for 11 additional albums, as well as several published poetry collections. Smith’s distinctive blend of rock, punk and poetry combined with her uncompromising style has ensured that she has remained a credible artist throughout her career, and continues to influence artists to this day. Here are the latest noteworthy news bits plucked from my inbox. Have a great weekend everybody! CMA Entertainer of the Year nominee Jason Aldean continues a whirlwind album release week with a major surprise announcement today (Oct. 18, 2012) with the first announced stadium dates planned for his 2013 NIGHT TRAIN TOUR. Aldean kicked off the day at Boston’s Fenway Park with Red Sox EVP/COO Sam Kennedy on hand to announce his July 13, 2013 date, making history as the first country artist to ever play the famed stadium. He traveled to Chicago’s Wrigley Field this afternoon and was joined by Cubs chairman Tom Ricketts to reveal that his long history of record-breaking Chicago area shows helped catapult him to stadium level headliner for the July 20 tour stop. The Macon, GA native and lifelong Georgia Bulldogs fan ended the day in Athens, GA by surprising a crowd of UGA students who thought they were attending a pep rally. When the curtain dropped, Aldean appeared to reveal that he will hold the first ever concert at Sanford Stadium on April 13, 2013. He was welcomed by football head coach Mark Richt and followed the surprise with a special performance for fans. 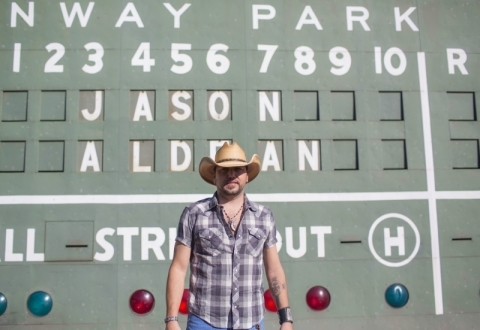 "It takes a lot to make me nervous, but walking out of the dugout at Fenway this morning to announce our show there definitely did it," said Aldean. "It's the kind of moment you dream about your whole career, so I tried to take a minute to soak it up, but it's pretty overwhelming. It was an incredible day as we went on to Wrigley for that announcement and then finished it up tonight with a surprise performance for the fans at University of Georgia. It's a day that I'm never going to forget." Aldean’s fifth studio album for Broken Bow Records, NIGHT TRAIN, was released on Tuesday (Oct. 16, 2012) to mass critical and fan praise. The album has already produced a record-breaking, multi-week No. one single with “Take A Little Ride,” and comes on the heels of the top-selling country album of last year and reigning CMA Album of the Year MY KINDA PARTY. Aldean recently earned three Country Music Association Awards nominations for the Nov. 1 show, in the categories of Entertainer of the Year, Male Vocalist of the Year and Single of the Year for "Dirt Road Anthem." Additionally, he has sold out every show on his current MY KINDA PARTY TOUR presented by State Farm®, – often in minutes at the day of on sale – and has broken over 40 venue attendance records. The tour has gone on to sell an unparalleled 1.9 million tickets and wraps Oct. 27 in Dallas, TX. For a full list of appearances and more information on NIGHT TRAIN, please visit www.jasonaldean.com. Music legends Bonnie Raitt and Mavis Staples come together for the first time on Austin City Limits (ACL) in a powerful new episode airing Saturday, October 20, on PBS (check local listings for times). The two incredible artists deliver passionate performances and represent a perfect pairing of blues, soul, rock and R&B. 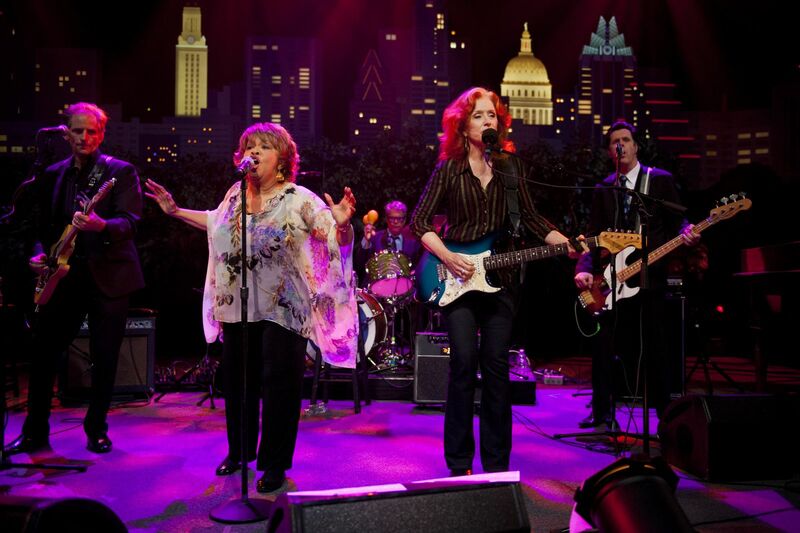 Nine-time Grammy winner Bonnie Raitt returns for her third appearance on Austin City Limits, and legendary soul/gospel singer Mavis Staples makes her ACL debut. The double-header episode features Raitt and Staples each performing separate sets, before teaming up on the ACL stage for an inspired rendition of Randy Newman's “Losing You.” “Thanks for coming out to see our soul sisters extravaganza tonight,” hails Raitt as the singers join forces for a roof-raising performance of the folk/gospel anthem “Will the Circle Be Unbroken,” bringing the audience at the Moody Theater in downtown Austin to its feet. A true original, Raitt performs tracks from her critically-acclaimed 2012 release Slipstream and a few classics from her remarkable career. “This is worth 40 years on that tour bus, just to feel like this,” says a triumphant Bonnie Raitt from the ACL stage. With Slipstream, Raitt launched her own record label, Redwing Records, and the chart-topping release marks her return to studio recording after a seven year absence. Called “one of the world's mightiest gospel pop singers” by Time Magazine, Mavis Staples won the first Grammy of her storied career in 2011 for Best Americana Album for her Anti- Records release, You Are Not Alone, produced by Wilco's Jeff Tweedy. Her debut appearance on ACL finds the iconic singer at her most powerful, performing soulful renditions of tracks from the universally-acclaimed Grammy-winning release, as well as songs from The Staples Singers-era. The complete line-up for the full 13-week season, including seven episodes to air beginning January 2012, will be announced at a later date. Check acltv.com for additional episode updates. ACL is produced by KLRU-TV and funding is provided in part by AMD, Budweiser, the Austin Convention Center Department and Dell. Additional funding is provided by the Friends of Austin City Limits. Learn more about Austin City Limits, programming and history at acltv.com. I'm just back from vacation and have lots to catch up on. But I wanted to direct everybody to my latest column in the Desert Star Weekly where I take a look at three special DVD/Blu-ray releases including Freddie Mercury's The Great Pretender, Don McLean's American Troubadour and the aptly-titled documentary Produced by George Martin. Click here to read my column. 100th episode of 'Music Worth Buying' posted! Singer-guitarist Justin Vernon, left, leads Bon Iver through a potent performance on Austin City Limits. Radiohead kicked things off on the new season of Austin City Limits with an intense, fast-paced concert of experimental rock that set a high bar for those acts who follow in the weeks ahead. On the next episode of the legendary music series set to air this weekend, Bon Iver delivers an equally enthralling series by immersing the audience in its textured and artful sonic brew that literally is as much about the sound created by the nine musicians as the stellar songs they perform. Bon Iver is the moniker of Wisconsin native Justin Vernon, a name derived from the French phrase for “good winter.” Written during a secluded winter stay in a remote cabin in Northwest Wisconsin, Vernon crafted a stunning collection of bold, ardent musings layered with pastoral melodies and his hauntingly smooth falsetto into Bon Iver's acclaimed debut For Emma, Forever Ago. In 2011, Bon Iver released the much-anticipated follow-up, Bon Iver, Bon Iver, earning two Grammy Awards in 2012 for Best New Artist and Best Alternative Album. This is a long post, but features news and updates from around the sonic universe. What a great way to get an early start on the weekend, right? Eagle Rock Entertainment, on November 13, 2012, will release Let The Music Play – The Story Of The Doobie Brothers on DVD, Blu-ray, and Digital Video. 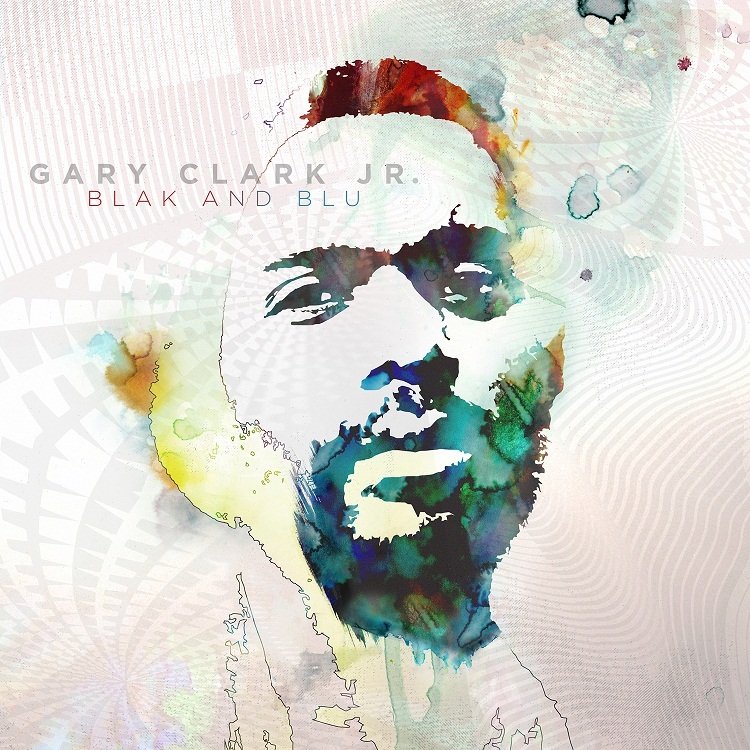 October 11, 2012 - (Burbank, CA) - To celebrate the release of his eagerly anticipated new album Blak And Blu, which will be released on October 22, 2012 rock 'n' soul phenomenon Gary Clark Jr. will make two high-profile television appearances the week of its release. Clark will perform the album's first radio track "Ain't Messin 'Round" on The Tonight Show With Jay Leno the day Blak And Blu is released - October 22. Later that week, Clark will travel to New York to perform on The Late Show With Jimmy Fallon. Clark will perform two songs, one that will air during the show and another that will be featured exclusively on The Late Show's website. Clark has just completed a well-received tour of the UK and Australia. He returns to the U.S. in October for a series of headlining tour dates, which are listed below. Additional TV appearances and much more to be announced soon. 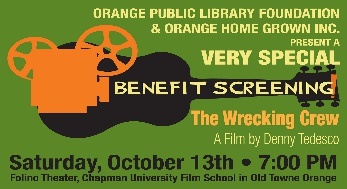 October 13, 2012 7 p.m.
Q & A with Denny Tedesco, Don Randi and special guests. General admission for 7 p.m. show is $20. …the British guitar virtuoso is still making sweet music. New York, NY (October 10, 2012)—FCA! 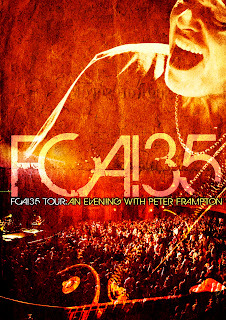 35 Tour: An Evening With Peter Frampton, a new live 2DVD, Blu-ray, and The Best Of FCA! 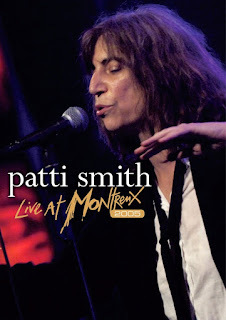 35 Tour 3CD set from the acclaimed artist, will be released on November 13, 2012 via Eagle Rock Entertainment. FCA! 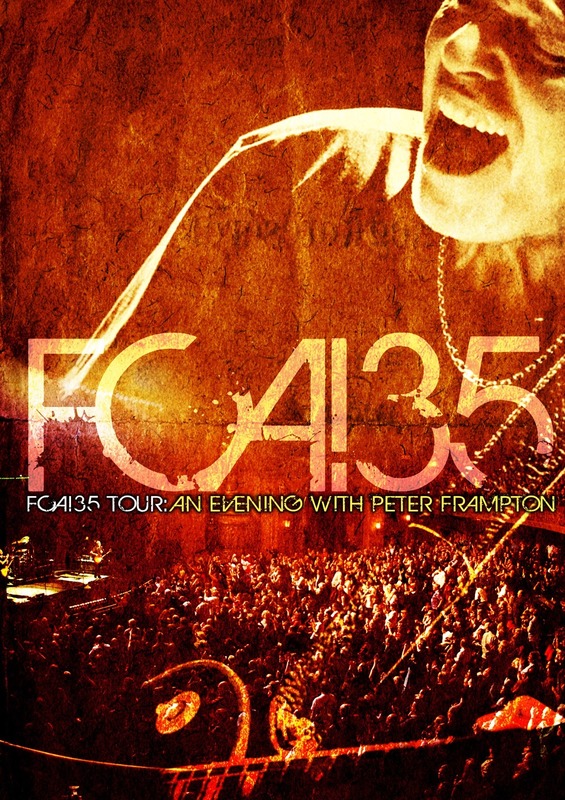 35 Tour: An Evening With Peter Frampton, directed and produced by Pierre & François Lamoureux, features two February 2012 shows - one performance in Milwaukee at the Pabst Theater and another in New York at the Beacon Theatre. The Best Of FCA! 35 Tour 3CD was executive produced by Zach Bair and Mark Fischer of Disc Live Network. Fans can get a free download of a live version of "Your Lies," from Shelby Lynne's upcoming Live At McCabe's, at www.shelbylynne.com/news/. The song, which originally appeared on her breakthrough album I Am Shelby Lynne, is one of 18 tracks included on the GRAMMY® winner's first-ever live CD, which is included in Revelation Road Deluxe Edition, due out next Tuesday, October 16th, on Lynne's own EVERSO RECORDS. The box set includes Revelation Road, which was awarded four stars by American Songwriter and MOJO when released last fall, the new Live At McCabe's CD plus Live in London, a DVD featuring Shelby's February 25, 2012 concert at Union Chapel, London, a DVD containing Jason Harter's exclusive documentary on the making of Revelation Road, one limited edition picture postcard, and five bonus acoustic tracks. EVERSO RECORDS will present a special Revelation Road Deluxe Edition release party at The Silent Movie Theatre in Los Angeles, CA on Tuesday, October 16th. The event will feature a solo acoustic performance by Shelby, a Q&A session moderated by Entertainment Weekly Senior Writer Geoff Boucher, a meet-and-greet reception and a screening of the documentary. Fans will leave with their own autographed copy of Revelation Road Deluxe Edition. 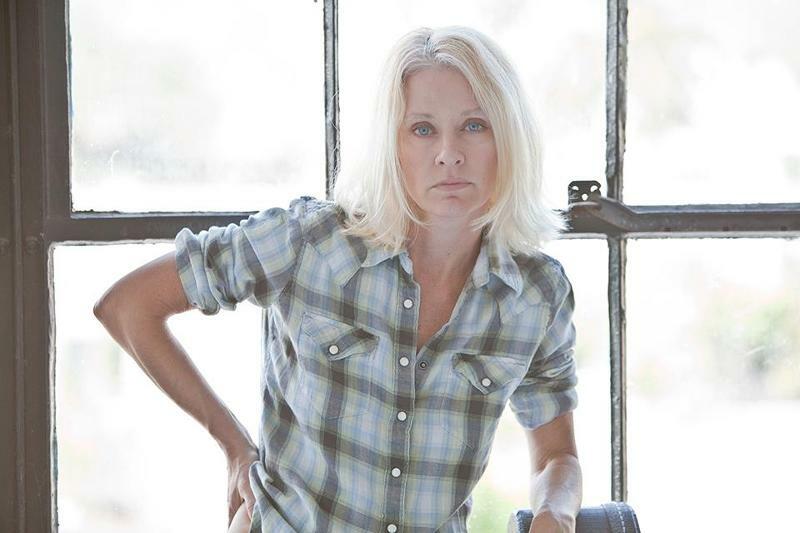 Tickets are available now at http://www.shelbylynne.com/shelby-lynne-ticketing/. This Friday, October 12th, Lynne launches her "Up Close & Personal" tour at the MIM Music Theatre in Phoenix, AZ. The run will feature a performance by Shelby and a Q&A session. See below for itinerary. She will also perform at Theatre Within's 32nd Annual John Lennon Tribute, a benefit for WhyHunger, which will take place at Symphony Space in New York City on Friday, November 30th. Shelby Lynne makes timeless American music, pure and simple. Born in Quantico, VA, she grew up in Jackson, AL and headed to Nashville after high school. There she released a series of contemporary country albums and one Western swing/big band jazz album. She moved to California and released her breakthrough album, I Am Shelby Lynne, in 2000. The following year, Lynne won the GRAMMY for "Best New Artist." After several other major label releases - Love, Shelby, Identity Crisis, Suit Yourself and Just a Little Lovin' - she founded her own label, EVERSO Records, in 2010, a move that has given her the freedom to release music on her own timetable. Her EVERSO debut, Tears, Lies, And Alibis, dropped in 2010 and was followed by Merry Christmas (2010) and Revelation Road (2011). New York, NY - A&M/Octone recording group Flyleaf will release their third studio album New Horizons on October 30th. The band also just released the second single from the album titled “Call You Out.” The song is the follow up to the title track from the new album. "’Call You Out’ was one of the first songs written during the New Horizons sessions, commented bass player Pat Seals. “The stomping opening verse evolved over time into this aggressive but very calculated track that closes with Sameer using chaotic guitar sounds to sort of burn it to the ground - engages you all the way through." Formed in Central Texas in 2002 when long-time friends Sameer Bhattacharya (Guitar) and Jared Hartmann (Guitar) merged their considerable talents with James Culpepper (Drums), Lacey (Lead Vocals), and later Pat Seals (Bass). Flyleaf quickly became a touring force on the road supporting their first two albums between 2005-2010. A break followed as Lacey and her husband announced her pregnancy in 2010 and gave birth of their baby boy in 2011. The band regrouped in the studio last year and began work on New Horizons. 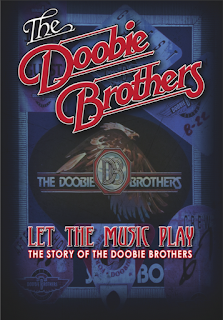 Bass player Pat Seals has not only designed the album cover for the band’s upcoming release, he also created a fold out poster as part of the packaging. Their debut self-titled album has now sold 1.3 million copies and is certified Platinum. "All Around Me" reached the Top 10 on Top 40 Radio. Flyleaf have also charted six singles at modern and rock radio. Flyleaf’s last album, Memento Mori, debuted at #8 on the Billboard Top 200 album chart and has gone on to sell over 325,000 copies in the US alone. "Again" from the album went all the way #2 at Modern Rock Radio (Breaking through the #1 and #3 spots held by Muse). On November 13, 2012, independent Blix Street Records will release The Best of Eva Cassidy, a compilation of the music of the versatile, much-missed vocalist praised for her emotional range and interpretive skills. Proof of both qualities abounds on the collection, which gathers 19 performances from the Washington, D.C.-based Eva Cassidy's previous albums and adds a previously unissued version of her popular "You Take My Breath Away." The Best of Eva Cassidy arrives on the eve of what would have been the singer's 50th birthday (February 2, 1963). Cassidy's reputation has only grown since her untimely 1996 death from melanoma at the age of 33, earning her an international audience (more than 10 million CDs sold worldwide) and critical acclaim, with the Wall Street Journal praising her "perfect pitch, impeccable timing and vulnerability" and USA Today citing her "emotional ability to reach the depths of any song." Cassidy fans and newcomers alike will find much to savor in The Best of Eva Cassidy, whose program reprises the singer's greatest moments-among them her nonpareil reading of Sting's "Fields of Gold," John Lennon's "Imagine," Curtis Mayfield's "People Get Ready" and Christine McVie's "Songbird," the title song of her first and still biggest-selling posthumous release. She likewise applies her unique, song-sympathetic voicing to folk (the fragile "Danny Boy" and the swinging "Wade in the Water"), standards ("Autumn Leaves," "Over the Rainbow") and the work of such contemporary singer-writers as Paul Simon ("Kathy's Song"), Bill Withers ("Ain't No Sunshine") and Cyndi Lauper ("Time After Time"). Of special note is the album's 'new' track, a version of Claire Hamill's inspirational tune that became one of Cassidy's signature songs. While the 1993 'demo' version of the song concluded Eva's American Tune Album, this previously unheard recording was one of several works-in-progress tracks at the time of her passing in 1996. This more musically evolved vocal performance simply reaches a new level. With the aid of new digital technology, Eva's former bandmates Chris Biondo and Lenny Williams recently enhanced Eva's original guitar/vocal studio recording. After maximizing the sound quality of Eva's vocal tour de force, they augmented the production with piano, double bass and a string quartet, creating the definitive version of what is destined to become one of Eva's best-loved performances. "Hearing Eva perform my song was probably the most important moment of my career," Hamill says of Cassidy's earlier treatment of "You Take My Breath Away." "I felt validated as a songwriter, a truly indescribable feeling. When I heard how a new version was to feature as the lead track on her new Best of Eva Cassidy album, I was literally over the moon. Eva will always mean the world to me. Her beautiful voice will stay with me forever." "Any new track on an Eva Cassidy best-of album had the tall order of being competitive with the other 19 classic Eva tracks, which have together raised the bar for singers everywhere," explains Blix Street Records president Bill Straw. "Essentially, Eva had to top or at least equal her own best work. I believe she did it. Otherwise, we would not have put it on the album. Some of our people in England are saying this 'new' version of 'You Take My Breath Away' is the best 'sounding' Eva Cassidy recording ever, high praise indeed at this point. It is enough to say that Eva's 'newest' released performance is worthy for inclusion among her best. Eva fans will ultimately decide for themselves where it ranks for them among her many classics." 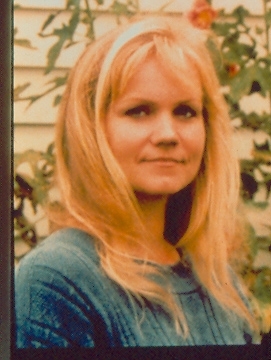 Initially shy and retiring, Eva Cassidy first appeared publicly in the Washington, DC-Maryland area, bowling over club patrons with her intensely personal, highly eclectic musical style. Following Cassidy's two locally issued albums, in 1998 independent Blix Street label took on the singer's catalog, initially releasing SONGBIRD (a compilation of tracks from the two albums, plus "Over the Rainbow" from the 1992 The Other Side duet album with Chuck Brown). Blix Street subsequently reissued the earlier Live At Blues Alley and Eva By Heart albums. But it was in 2001 that music enthusiasts sat up and took notice of Cassidy's compelling way with a song; that was the year that the Songbird compilation hit the top of the British album charts and captivated audiences the world over. Songbird has now been certified Platinum in the U.S. Subsequent releases include Time After Time, two additional U.K. chart toppers, Imagine and American Tune (the former climbed to No. 1 on Billboard's Independent Albums survey, the latter to No. 5), the 2004 compilation Wonderful World followed by Somewhere in 2008 and 2011's Simply Eva (an album of alternative Eva-only guitar and vocal performances).